Posted on April 12, 2019 by Becky G.
Wildwood is happy to announce we are launching a new day camp program this summer to support the local residents of Rindge, Jaffrey, and other surrounding areas. Day campers, ages 6–11, will focus on exploring the nature of Wildwood and learning about what literally lives in their backyards! 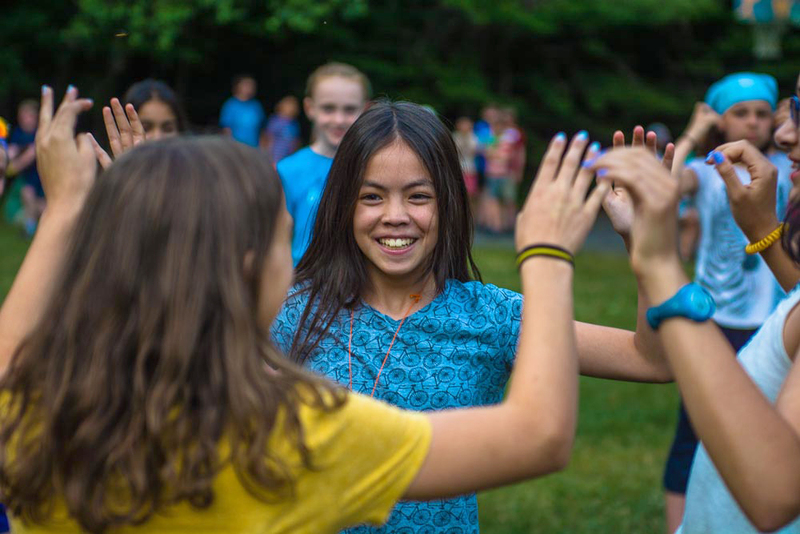 Throughout the day, campers will connect with each other and the environment in a welcoming, supportive environment. Each will have opportunities to make exciting discoveries and learn about making choices with their daily activities. Cozy camp areas create safe spaces for relaxing, sharing, and learning with friends new and old. And, of course, no camp day will be complete without taking a swim or a paddle in Hubbard pond. Day campers will also get to try archery, arts & crafts, the high ropes challenge course and more. Day Camp hours are 8:30 am–4:00 pm with optional extended hours until 6:00 pm. Lunch and snacks are included in the day. This entry was posted in Summer Camp on April 12, 2019 by Becky G..